Together, these organizations are working to transform Southern California into a more livable, sustainable region. Behind every successful organization is a group of passionate, committed leaders working hard for change. To all of my clients, I thank you for welcoming me to serve your organization. I have learned so much from all of you and am grateful for all of your work. My 100th client, the Little Green Fingers Program, is a collaboration between seven organizations working together. I found myself energized by facilitating a retreat for them where I created a space for each of the partner organizations to build stronger relationships with each other. In addition to Little Green Fingers, I have served 10 other clients that involved some sort of collaboration. If you add up the number of organizations that make up these collaborations, the list is greater than 100. Add that to my single-organization clients and I’m proud to say my work has positively impacted 200+ organizations! As I noted in an earlier blog post, the potential benefits of collaboration are great along with the potential challenges that go along with it. I’m compiling a list of collaborative change initiatives in Southern California and planning to research many of these as part of my masters thesis. 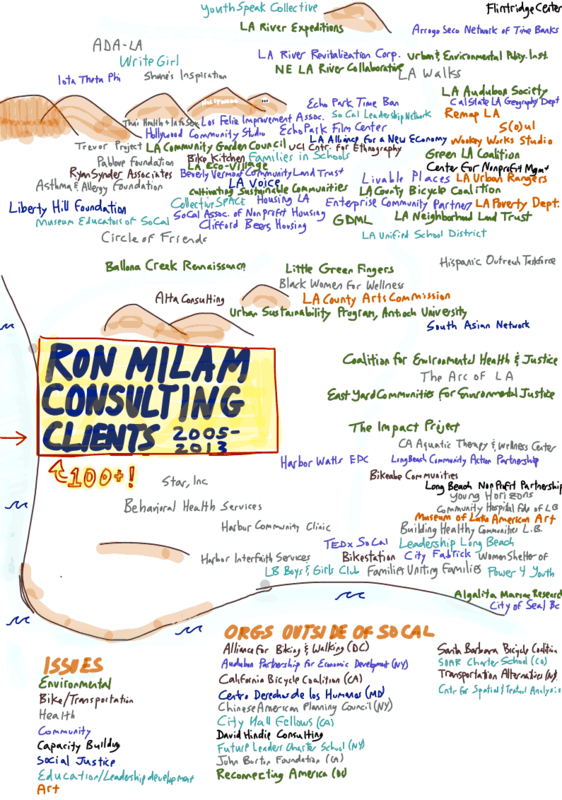 Ultimately, I hope to serve many more collaborative change initiatives in the future as I continue to build my consulting practice here in Southern California. This entry was posted in My Clients and tagged #Nonprofit, #NPLA, Clients, Collaboration, Community, Leadership, Leadership Development, Sustainability. Bookmark the permalink.